Quebec City's Muslim community will now have a place to bury their loved ones, after the city announced Friday it has conditionally accepted an offer from the Quebec Islamic Cultural Centre to buy land near a well-known local cemetery. The land is the site of a former snow dump next to the Notre-Dame-de-Belmont cemetery, close to the centre, the mosque where six men were killed in a shooting in January. 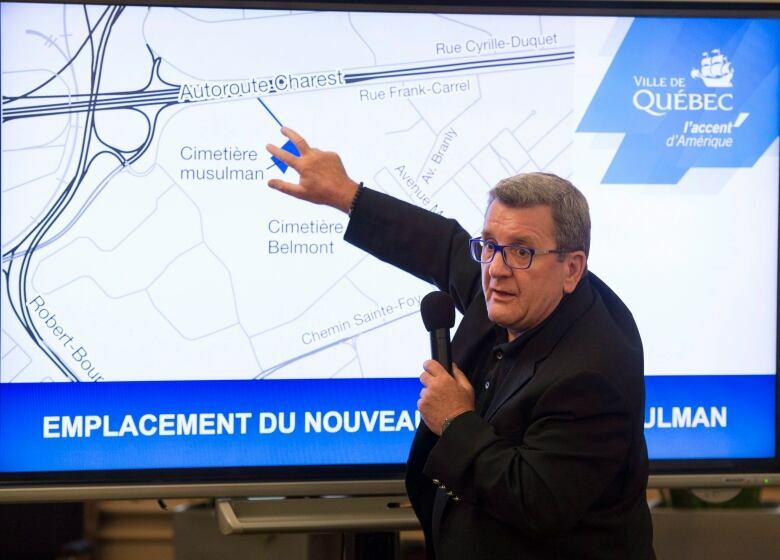 Quebec City Mayor Régis Labeaume made the announcement Friday morning at a news conference at city hall. "For over 400 years, Quebec has been a welcoming city for all cultures, languages and religions," said Labeaume, who said the French concept of "vivre ensemble" or living together, is "fundamental to the success of our society." He said that the cemetery fulfilled the idea of "vivre ensemble" in all its meanings. "It's a historic day," said Mohamed Labidi, president of the centre. In a tweet, Prime Minister Justin Trudeau congratulated Labeaume for taking action, calling the move "an important and courageous step for dignity and decency." "I have tears in my eyes," said Imam Hassan Guillet outside the mosque after Friday's prayer service. "People were so happy, they couldn't contain it." Guillet's wife, Nathalie Groulx, said one Moroccan-born woman couldn't stop crying throughout the sermon, after hearing the news that land for the burial ground had been found. "It tells you how much it's important for Muslim people to be able to be part of this society — and to be accepted, as is," Groulx said. The group will pay the city $270,000 for the land, a parcel of 5,700 square metres located just south of Frank-Carrel Street. The news comes just a few weeks after a referendum in the small town of Saint-Apollinaire, Que., halted plans by the mosque to create a cemetery there. The town of 6,400 residents is about 35 kilometres southwest of Quebec City. 19 voters quash Muslim-run cemetery in Saint-Apollinaire, Que. Should the fate of Saint-Apollinaire's cemetery project have been decided in a referendum? Only people who lived near the proposed site were eligible to vote in the referendum, and opponents of the plan narrowly won in a 19-16 vote. After that project fell through, the centre resumed discussions with Quebec City for a cemetery. "Since Monday, we've worked day and night, city staff, volunteers, to realize this project," Labidi said, and thanked the city for its speedy efforts to come to an agreement. An access road will need to be built, but both Labeaume and centre seemed to think the grounds would be open in the fall. "Many Muslim families in Quebec City will no longer have to endure the sorrow of the remoteness of their deceased," said Boufeldja Benabdallah, the centre's interim co-ordinator for the cemetery project. 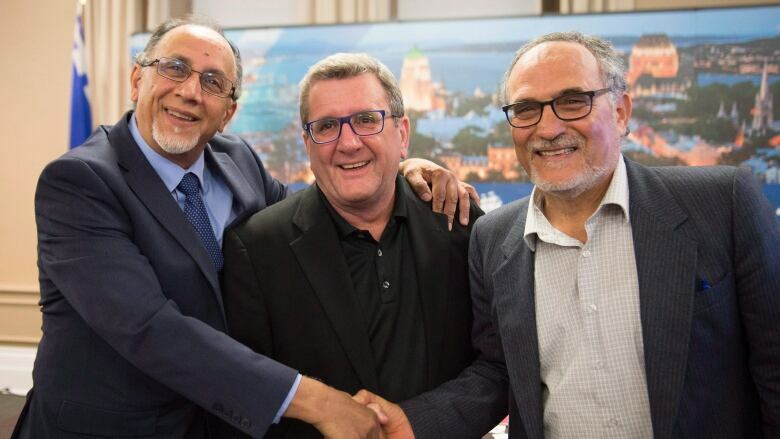 Benabdallah was overcome by emotion during the news conference on Friday, and paused to collect himself while Labeaume placed a reassuring hand on his shoulder. The cultural centre has been working for almost 20 years to create a Muslim-run cemetery in the area. When asked by a reporter why it was so important, Benabdallah said now families don't have to go to Laval to bury their loved ones in the Muslim cemetery there. "We will die in peace," said Benabdallah. The sale of the land still needs to be approved by Quebec City council, but no zoning changes are required. The Notre-Dame-de-Belmont cemetery is the final resting place of several prominent Quebecers, including former premiers Jean Lesage and Louis-Alexandre Taschereau, as well as tenor Raoul Jobin and singer Alys Robi. Benabdallah said the group had struggled through years trying to get land for a Muslim cemetery, only to see plans repeatedly fall apart. He said that the decision put a "bit of balm" on the pain of the January shooting at the mosque. 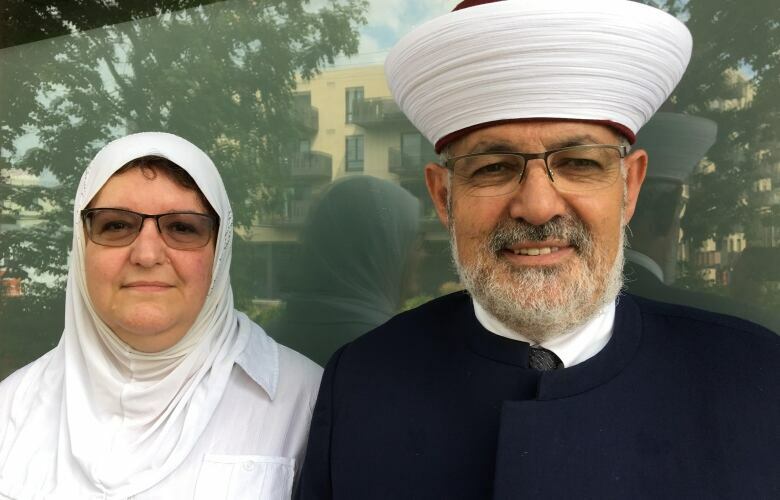 "Muslims who die here have a choice now," said Benabhdallah. Previously the choices were to be buried in a Catholic cemetery, or other cemetery outside the faith, to be buried in Laval or to even be buried in one's country of origin. "Every person who dies, and takes a plot, it will be belong to them for eternity. It's a big change in our psychology," Benabdallah said. ​In Muslim tradition, bodies are washed and shrouded before burial, which should take place as soon as possible after death, preferably within 24 hours. Cremation and burying of ashes is forbidden in the Muslim faith.